HPV vaccines, jobs data, high school chemistry, bridges and roads, solar panels--they're just some of the topics that have popped up in the course of the presidential political campaigns' efforts to differentiate their candidates from the pack. Here in Washington, we call campaign season "silly season," but the results aren't funny if your topic gets thrown into the national spotlight and beaten like a pinata full of cash money. Prep your spokespeople: It's often painfully obvious when experts aren't prepared for a media-coverage blitz occasioned by an offhand political comment or pointed debate argument. This past week, it's been difficult to avoid HPV researchers reiterating the basic facts about that vaccine, some more clearly and crisply than others. 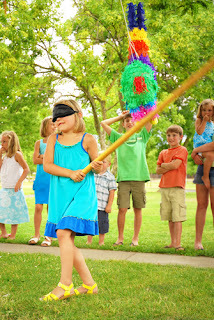 Take the time to identify your likely pinata topics, then get those spokesfolk ready by offering training, including a review of hot-button words and terminology that might get further taken out of context; help them brainstorm alternatives and strong messages that share the facts in a neutral way. I don't know any experts who would fail to welcome that extra help, even if it turns out to be unnecessary. Don't forget to hand them a variant of Ronald Reagan's best and least anxious debate line to counter broad, ridiculous charges: "There they go again." What else is part of your pinata strategy? Share your tips in the comments.